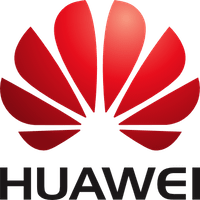 To help students from mainland China to attend SIGCOMM 2013, Huawei will provide travel grants for selected students for reimbursement for part of their travel cost. Travel grants are available for full time graduate students and post-docs enrolled at universities in the mainland China. Preference will be given to applicants who are co-authors of papers or posters in SIGCOMM2013 or co-located events. Please submit your application letter with up-to-date CV to min.ch.luo@huawei.com by the deadline. Please state clearly your roles in SIGCOMM 2013 and co-located events.